September to June - the 2nd and 4th Tuesday of every month, 6:00-8:30 pm, except both meetings in January and first meeting in February club meets during day, from 12:00 noon-3:00 pm. In July and August KSC meets the 2nd Tuesday only from 6:00 to 8:30 pm. 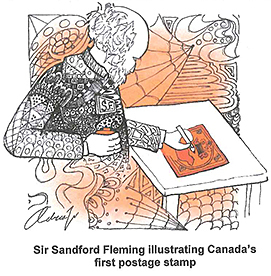 "A FRIENDLY MEETING PLACE FOR STAMP COLLECTORS"